Every industry is driven by innovation. It’s the catalyst which allows businesses to gain a competitive advantage and offer customers something new and unique. While many anticipate change to be dictated downwards from the big giants, a new pattern seems to be emerging, with start-ups leading the way. Leaving the safety blanket of a regular income, guaranteed pension and structured hours to set up a new business is a difficult decision to make. Yet fortune favours the brave, or so the old saying goes, and the benefits can be fruitful. A remarkable 195,538 start-ups were set up in the UK this year alone, according to StartUp Britain, encouraged partly by the current government’s efforts to build an “enterprise-led recovery” following the economic crash of 2007-8. It will come as no surprise then that the resources community is also benefiting from this rise, with a number of companies set up to tackle one of the larger challenges the waste industry has to face: how to become a more circular economy. One of the many start-ups building a successful business on the principles of the circular economy is Celtic Renewables. 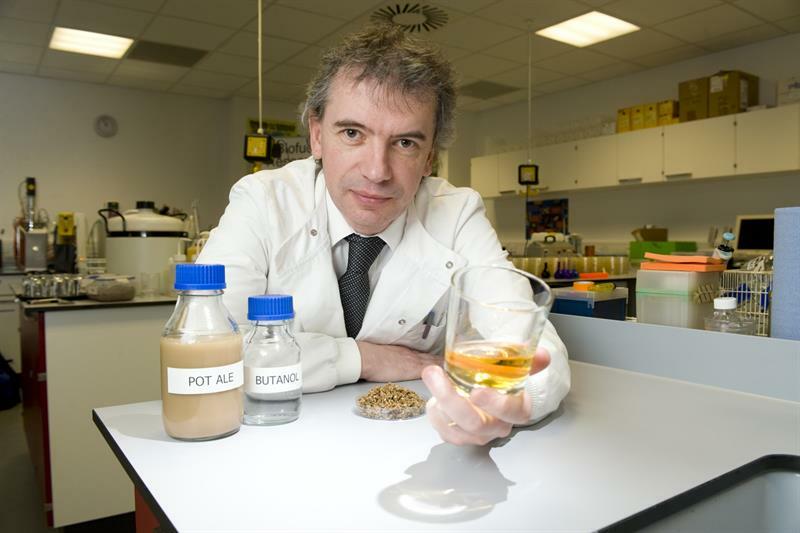 The Scotland-based business uses the by-products of one of the country’s largest exports, whisky, to create a biofuel fit for engines without any need for moderation. With a 10% European target for energy from renewable sources in transport by 2020, Celtic Renewables’ process couldn’t have come at a more pressing time. Yet according to the company’s CEO and founder Professor Martin Tangney, the technology isn’t quite as new as it sounds. He says: “The basis of the company is AD fermentation, which at its peak was the second-biggest biotech the world had ever seen. The process was developed in the 1900s, but it needed a high concentration of good, clean glucose to make it work, meaning it only ever operated with high-value inputs or crops. After researching and developing the technology for two years, Tangney mastered how to alter the AD process to work on ‘low materials’ such as by-products, meaning a much lower cost of production. In 2012, he set up Celtic Renewables where the technology then was then put through its paces at pilot stages in Belgium and Switzerland. Last July, Tangney closed the loop and drove the world’s first car fuelled with biofuel from whisky by-products. Celtic Renewables has now got planning permission to build a chemical site in Grangemouth, Scotland, where the oil will be refined. This site has been funded from both a £9m grant from the Scottish government and community funding website Abundance.When the fundraiser went live, the company raised an impressive £500,000 in the first 24 hours, raising in total over £5.5m. It now has the backing of a range of investors, something which certainly adds pressure for Tangney. Also trying to find its name as a circular economy business is Cambond, which turns waste streams into upcycled products. 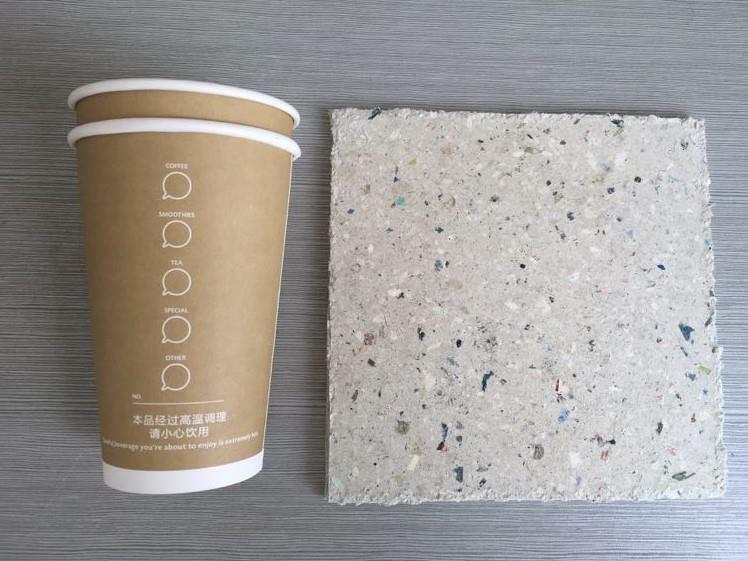 The start-up began life trying to replace toxic formaldehyde glue in MDF and fibreboard but soon realised that when mixing plastic with resins and plant substitutes, it could produce a material similar to plastic but with only half the oil. Although the product has a large potential to replace many plastic-based products, Cambond struggled to get UK investors behind it. Gareth Roberts, responsible for business development at the firm, says: “It’s been really difficult to talk to people and make contact. We’ve had no response from big companies, it’s definitely difficult for a start-up to make these contacts. Awards undoubtedly help to boost a company’s profile, and also joining Cambond in the Shell Springboard programme is Carbogenics. Having just celebrated its second year, the company is still in its infancy but is well on its way to becoming a beneficial aid to AD process. The company converts carbon-rich waste such as paper cups into an adsorbent for bioprocess intensification, aiding the efficiency of anaerobic digestion and therefore helping to make more biogas. Carbogenics joins a long list of companies focusing on decreasing the environmental impact of big business. So why is it that start-ups, rather than large corporations, are coming up with these innovative processes? Founder Jan Mumme says: “Many times it’s the inventors or researchers who have these great ideas, but they’re difficult for large companies to pick up because it’s a risk. With a larger focus on making a more sustainable, green future, Mumme believes the UK will see an even greater increase in the number of start-ups. He says: “All areas are under high attention for innovation. Universities are investing a lot, there’s a lot of good people out there with promising patents.